April is national financial literacy month. 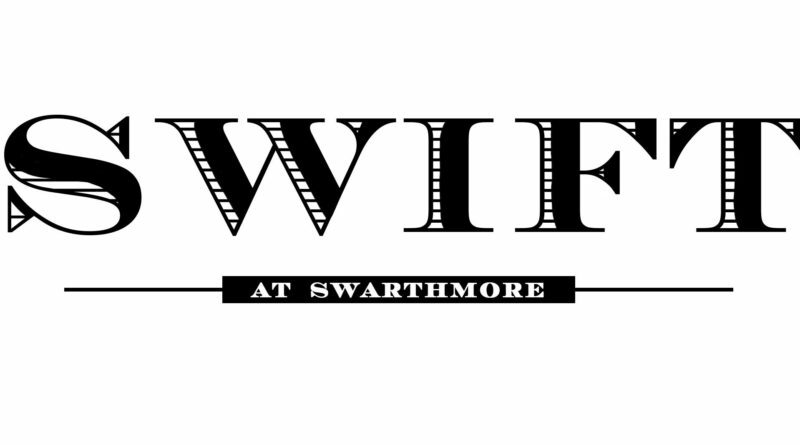 Swarthmore, Wealth, Investment, Finance and Trade has planned a variety of events throughout the month which aims to teach Americans how to establish and maintain healthy budgeting decisions. When Joshua Collin ’20 first came to Swarthmore, he felt a need for more financial literacy resources, such as budgeting tools. He and Rafi Hares’ 20 decided to create a club that offered financial literacy services to students. “I saw a need in myself and talking to other students here at Swat… I noticed that a lot of other people weren’t necessarily literate to the extent that they could make the best decisions possible. Because really being financial is all about decision making. I saw that and I brought Rafi on board,” Collin said. SWIFT began in 2017 to help students understand personal finance and acquire more financial literacy. Since its inception, SWIFT has created guides for students to help budget their meals and held workshops to educate students on topics such as investing and debt management. In addition to their regular meetings, they will be hosting office hours every Friday from 2:30 to 3:30pm featuring free food throughout Financial Literacy Month to promote more conversation around personal finance. Collin and Hares met with several financial professionals and completed a certification program through the financial literacy non-profit W!se to gain a deeper understanding of what being financially literate meant and created SWIFT. “The whole purpose [of SWIFT] is to host great events, workshops, and resources for students to build healthier financial habits so they feel more confident building a strong foundation for themselves both in the present and for the future,” Collin said. According to Collin, the club focuses on basic skills needed to manage personal finances and build personal wealth. Saúl Lopez ‘22 thinks there is need for more support for students who did not have access to financial literacy education before coming to the college. “I think resources pertaining to the development of financial literacy is extremely important on any college campus, especially the ones claiming to offer extensive support for marginalized groups. Financial literacy plays a huge role in asset accumulation throughout our lifetimes, and disparities in levels of financial literacy, especially among different income and social classes amplifies and perpetuates the already expanding wealth inequality seen in this country,” Lopez said. SWIFT is encouraging students to ask questions and share their personal finance experiences at the office hours they are hosting throughout the month. “We are hosting SWIFT hours where we basically allow students to talk about personal finance with us. For SWIFT hours we want it to be a form of asking us questions, but also teach us something because there’s so much that goes on in personal finance. Everyone has their own base of knowledge,” he said. Malcolm Bevans ’22, a member of SWIFT, got involved with the club after seeing it on Linkedin and believes that they provide a very important service to students at the college. “ I went on to express interest to [Joshua Collin] about it, [as] I had conducted similar initiatives in High School … and the rest is history,” Bevans said. Therese Ton ’19, owner and creator of Toscah Bakery, an artisanal small batch bakery that creates pastries for various local stores such as Hobbes, frequently collaborated with SWIFT by providing them baked goods. Ton thinks that their work provides services that Swarthmore students don’t always have access to. “I think it’s extremely important because I think a lot of Swat students are not financially literate and this is a great opportunity and a safe space to ask a lot of questions about investing, taxes, budgeting,” Ton wrote in an email to The Phoenix. Part of Ton’s partnership with SWIFT includes providing them with food for their events. “We try to make this a space for everyone. Therese Ton has her own bakery and she makes amazing pastries and we use our funding to buy stuff from her for SWIFT hours and people get to know her more and they get create quality food,” Collin said. Collin says the group, which has been a chartered club since 2017 and gets its funding from SBC, uses food to motivate people to come to events because often students are wary about talking about finance. “People are more inclined to come to things we do, sometimes, particularly for younger people, it’s like why do I want to talk about all this stuff. Food is a nice incentive to sort of open it up,” said Collin. For SWIFT’s next office hours they will be providing free tacos in sci commons. They also are planning a budgeting workshop with Franklin Marshall Credit Union on April 26th that is open to the campus community.